Renovations, Asheville, NC | Off Duty Fireman Construction Inc.
'); // });Renovations, Asheville, NC | Off Duty Fireman Construction Inc.
With over 15 years of experience doing renovation work in Asheville, we can put together a plan for renovations that meets your exact expectations. Home renovations are no small undertaking, especially if you have a big project to get done. If you’d rather not work with multiple subcontractors and deadlines while trying to manage the final outcome of your project, you need a team that will streamline the process for you, and that team is Off Duty Fireman Construction Inc. Our passion is helping others, and when we do renovations on homes in Asheville, North Carolina, a portion of all of our proceeds go to charity. We treat the homes of our clients as if they were our own, and the level of customer service we provide is exceptional. Plus, the quality of our workmanship is unparalleled. Whether you want to do a few minor bathroom renovations or completely overhaul your kitchen, you’ll be glad you decided to let our team of qualified professionals take over. 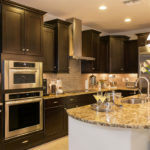 We have over 15 years of experience doing renovation work, so you can trust our advice and guidance as we put together a remodeling plan that meets your exact expectations and specifications. We’ll do whatever it takes to get on the same page with you, so the final outcome is even better than what you envisioned. We’re driven to deliver quality work all the time, every single time, so you can’t go wrong letting us be the team that manages your renovations. Reach out to us at Off Duty Fireman Construction Inc. to find out more about our services, our team, and why you should work with us. At Off Duty Fireman Construction Inc., we perform renovations in Asheville, Waynesville, Hendersonville, Black Mountain, Arden, Maggie Valley, Charlotte, Lenoir, Hendersonville, and Winston-Salem, North Carolina.